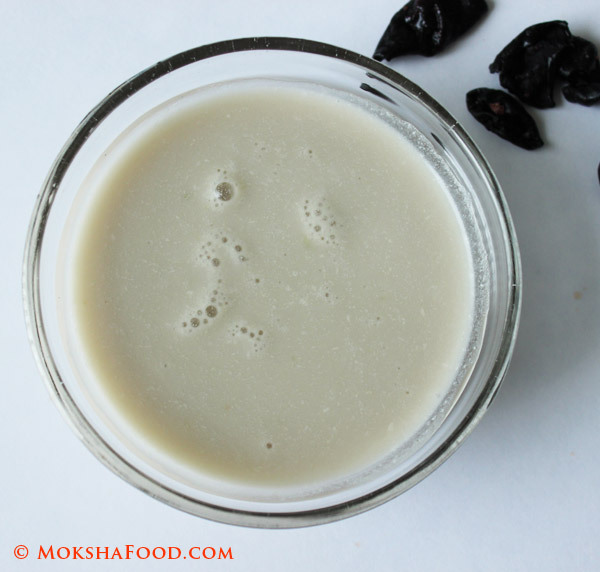 Solkadi is a integral part of Goan Konkani cuisine. It is prepared by grinding freshly grated coconut, green chilies and garlic cloves. 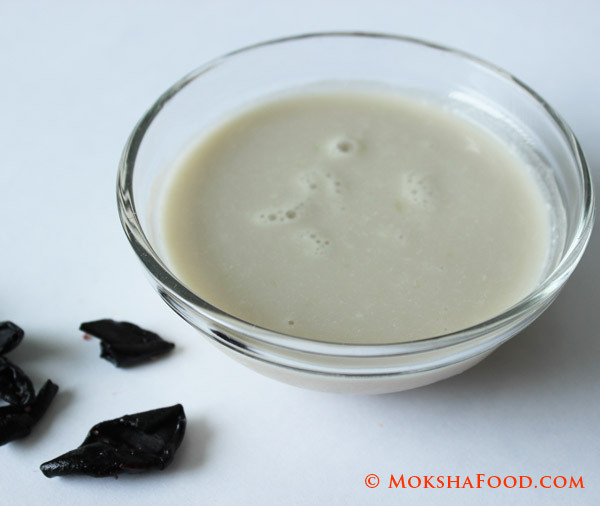 The coconut milk is extracted from this mixture and flavored with kokum and salt. This is always served along with the fish curry. The first course of meal is rice, fish curry and fish fry. The meal ends with second course which is rice mixed with solkadi. The Kokum aids in digestion of food and also cools down the heat from the spices. Grind together the coconut, green chilies, garlic and little water. Pour this mixture through a sieve and only collect the coconut milk. You can add more water to the ground coconut and grind again to extract more milk. Soak the kokum in 2 tbsp. of hot water to extract flavor. Stir in the extracted coconut milk and salt to taste. Serve at room temperature with your meal. * The taste of Solkadi depends on the quality of Kokum used. Try to get your hand on the freshest and sourest Kokums.